Condo Culture | Introducing Midtown and its New Lofts! Introducing Midtown and its New Lofts! Hi Everyone, we hope you had a great week. 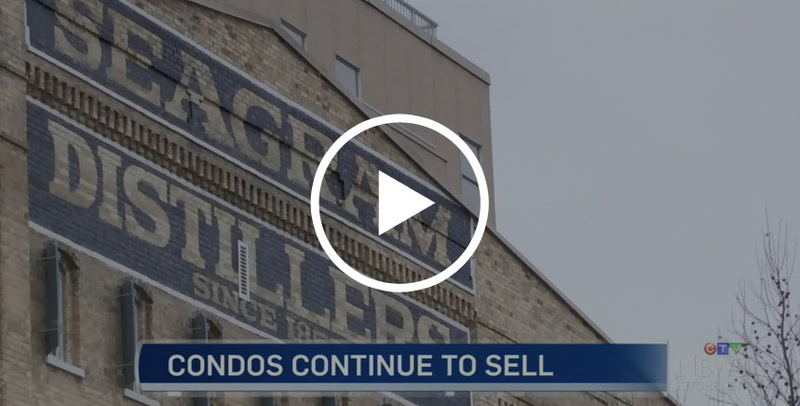 Citing the strong appreciation seen across the single detached housing market, Jeff & Max also talk about the widening gap between condo prices and single detached home prices and why condos are increasingly becoming one of the more popular options for those looking to buy a home in the core areas of Kitchener-Waterloo. Off the record, we’ve talked about this a lot lately. Kitchener-Waterloo was historically a been a lifestyle driven condo market, meaning individuals and couples would choose condos primarily for the convenient and attractive urban lifestyle they represent. In the early days when we first started most of our customers were passionate city dwellers who were willing to pay a premium to get into the condo lifestyle and enjoy everything the core areas of our cities had to offer. Now, not only do we have even more of those passionate city dwellers than ever before but the condo market has also become an attractive option as a first home, as an investment and for downsizers looking to capture equity from the sale of their home as they move closer to retirement. Needless to say, the widening appeal of condo living in K-W, especially over the past 6-12 months has a lot to do with affordability as well. Now more than ever, condos are not only a lifestyle decision but relatively speaking, one of the more economical ways to get into the property market the centre of our growing city. And it’s not just Uptown Waterloo and Downtown Kitchener anymore either. Take the Midtown for example. It wasn’t that long ago that if you asked someone in our city where Midtown was they’d say Mid-what? Yep, while rooted in history, this area between the Uptown and Downtown area of Waterloo was known to many as just that, an area that you’d travel through to get from Uptown to Downtown or visa versa. Now, with the help of major developments on the edge of downtown, including the announcement of the LRT, and just as importantly passionate neighbourhood residents, this little gem in the middle of our city is becoming a neighbourhood other neighbourhoods aspire to be and creating an identity all of its own. The community spirit is infectious and it’s hard not to feel a hint of jealousy if you’re not from the area and stumble upon one of their community chalkboards announcing what new and coming up in the hood. I mean what kind of a neighbourhood has community chalkboards? An awesome one, that’s what kind. And when you think about it, there’s a lot to be jealous about. This once completely underrated neighbourhood, is now smack dab in the middle of one of hippest coolest areas we know (that’s you DTK) and the long established, highly livable Uptown Waterloo that continues to get better and better by the day. The increasing attractiveness of this area is sure to continue to drive development in this area, especially along King Street and our new LRT. We believe condo development and development in general along this corridor is just in its infancy. The pioneering condominium project in this area is the Midtown Lofts. We’ve been involved in this project since the beginning and have been passionate Midtown proponents ever since. The building is also located right next door to Kitchener’s thriving innovation District. With numerous start-ups, well known tech companies and major employers in the area, including Google's brand new Canadian development office, Midtown is attractive if you work in the local tech community or simply love to be part of the thriving energy it represents. You’re also right up the street from our future Regional transit hub that will connect the LRT line with GO Train to Toronto and local GRT buses for easy access around the city and outside to Toronto. 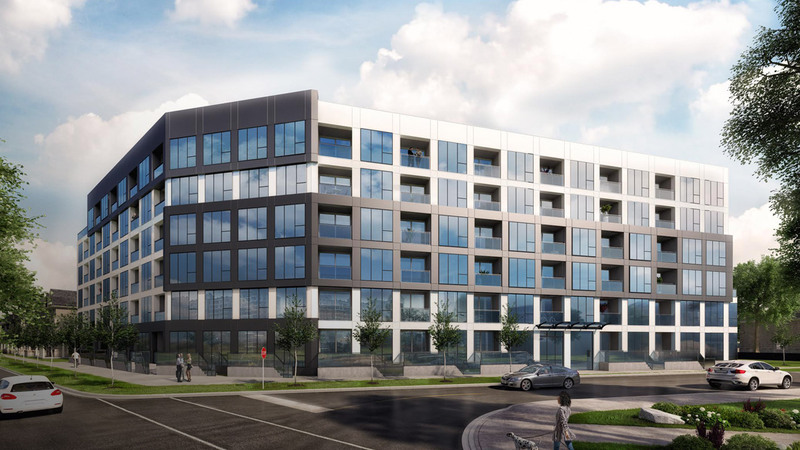 The Midtown Lofts was the first substantial condo project to be conceived in the neighbourhood and it will be the first to be completed as well. The first residents have already begun moving in over the last few weeks and a many more are scheduled to call Midtown home in the coming days and weeks. A total of 138 units, the building features urban suites ranging from studio, one bedroom, one bedroom plus den, two bedroom and two bedroom plus den units. You can also enjoy the fitness centre, party room, rooftop terrace, and secure underground parking. One of the many great features about The Midtown Lofts is that this building caters to different lifestyles for different individuals. Suite square footage ranges from 505 square foot studio suites to 1,288 square foot two bedroom plus den suites. If you’re in the market to rent or purchase, make sure this area and the Midtown Lofts is on your list. We’re taking clients on previews regularly and would be happy to take you on a tour. Interested in getting an idea of what’s included within a suite at the Midtown Lofts? Here is an example of a 1 Bedroom + Den with 758 square feet living space. The kitchen features white quartz countertops, upgraded high gloss white cabinetry, a glossy tile backsplash, and stainless steel appliances. The kitchen opens up to the living area providing a great space for entertaining. The spacious bedroom features a walk-in-closet and a cheater ensuite. The den is enclosed with a sliding barn door and can function as an office or second bedroom. The entire suite is tied together seamlessly with laminate flooring throughout (no carpet!). This particular suite can be accessed from street level with a large, walk-up balcony, perfect avid city bikers and pet owners. Some additional suite highlights include upgraded tiling in the bathroom, an overhang on the kitchen island to allow for a breakfast bar and a wood-backing under the drywall to allow for a wall-mounted television. Reach out to us for more information on this suite and other similar units in the building to learn more. If you enjoyed what you read today and would like more information about The Midtown Lofts or the Midtown neighbourhood in general, give us a call or come visit us at one of our Condo Culture storefronts in Kitchener or Waterloo. Limited inventory available for purchase and rent still exist and they’re all at Condo Culture!